← Dry Powder … How much do you need? Maybe it was beginners luck – whatever it was, we will take it. Our first mass public article has been a success. We are certainly not changing careers, but it is nice to help many with their financial planning needs! 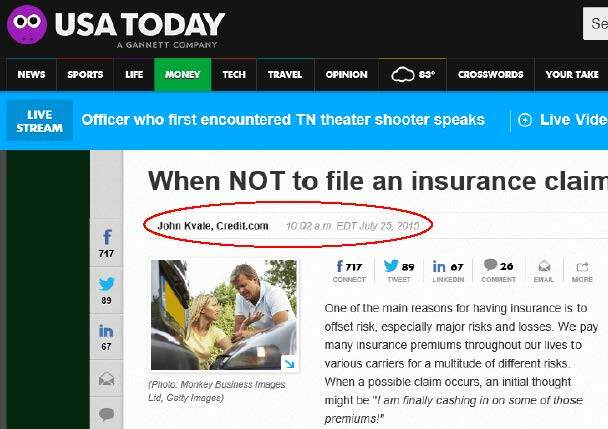 On Monday, August 3, USA Today ran our Insurance claim related article… that originated from YOU, the best friends and clients in the world. 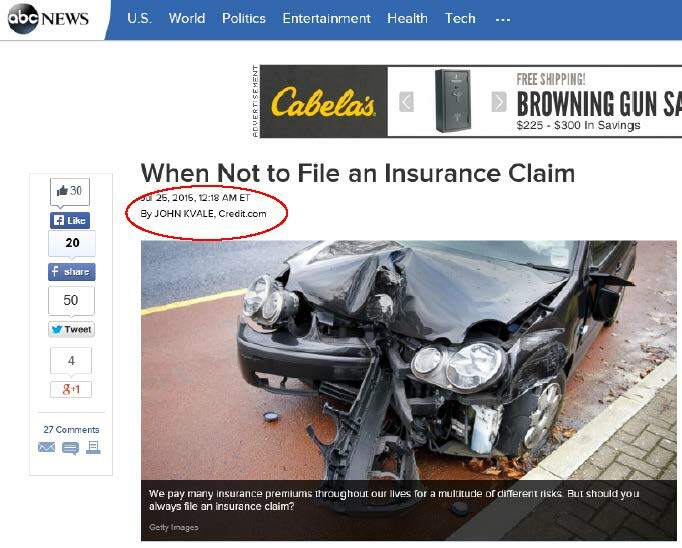 Thanks USA Today, we enjoy your publication very much … even more now! After having spinal surgery one week ago, Cathy is recovering well. Since she is unable to sit up for hours at a time, she has been in the office sporadically at best. Thanks so much for all the well wishes. Be sure to spend time with those special in your life…it goes fast. This entry was posted in Donald Capone, General Financial Planning, In The News, Investing/Financial Planning, John Kvale, Personal and tagged ABC News, Cathy updae, credit.com, USA Today. Bookmark the permalink.